The Class of 2020 received a warm welcome to the upper school on Aug. 18 during freshman orientation and freshman field day. Upon arriving on campus, the freshmen were cheered on by the upper school’s Link Crew, a group of students who assist incoming grade 9 students with the transition from middle school. After meeting with their advisors, the freshmen headed to Davis Field and the adjacent Singh Aquatic Center for a series of fun team-building activities organized by APEX Adventures. 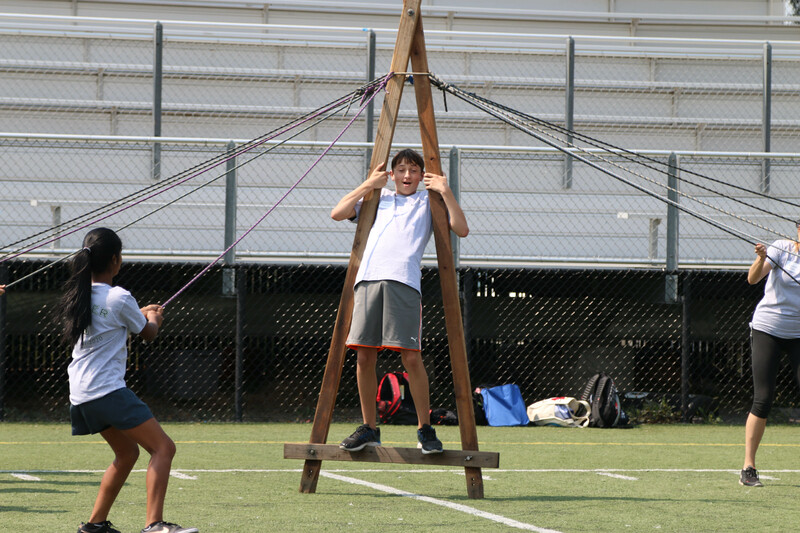 In one activity, students helped a team member walk on the field using a triangular apparatus, which was propped up by ropes held by the students’ teammates. In another, students had to fill a tube of water by using their fingers to plug holes in its side.